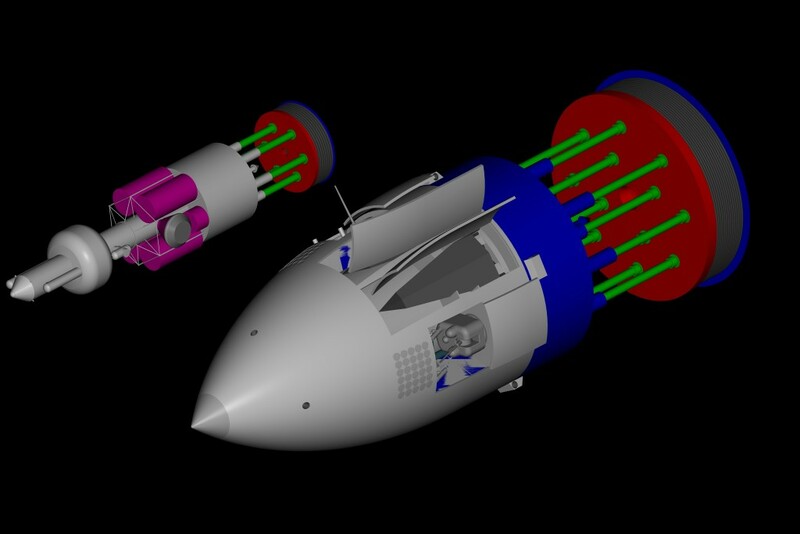 This model was created in CAD and is to be stereolithed and made available as a kit by Fantastic Plastic in early 2010. One of the Orion's had a doomsday warhead of 1,600 tons? If I recall correctly, the most efficient nuclear warhead we ever produced was the Mk.41, which produced 5.2 or 5.6 megatons per ton, and in 1963 it was stated that we could have produced a 35 megaton warhead mountable on a Titan II (3700 kg), 50-70 megatons for the payload used on a B-52 (10,000 lbs). With figures like that you're talking about 8.5 megatons/ton for a Titan warhead or 5-7 megatons/ton for the heavier warheads.